In 1938 Manhattan ‘Society’ it would have been unthinkable that a young woman would go out and get a job, but that’s precisely what Elizabeth Adams does. Elizabeth loves taking pictures and she hopes someday to see one of her photos gracing the front page. But it’s 1938 and a woman in the newspaper office isn’t about to do much more than fetch coffee now and then. Until a veteran reporter needs a photographer and Elizabeth is the only one around. The story…? It’s time for Society’s big ‘coming out’ party at the Waldorf. Ralph, the veteran reporter, is impressed that Elizabeth seems to know all the women at the event and can get in to talk to them (he has no idea that Elizabeth is a Society dame) and he tasks her with getting some good photos and any insider information she can gather up. When Elizabeth hears crying in a bathroom stall she opens the door and accidentally snaps a photo of a friend, capturing her bleary-eyed and with running make-up. She promises not to publish the picture (though of course we all know what’s going to happen). When that woman’s mother is later discovered murdered and Elizabeth and Ralph have the scoop, beating all the other papers, Elizabeth’s photo makes the front page. Feeling guilty for the breach in promise, Elizabeth vows to help her friend find her mother’s killer. I really enjoy a good historical fiction story and the time period here is very appealing to me. I like seeing a strong female protagonist – particularly for this time period, though I’d go so far as to say she’s not strong enough yet. Elizabeth tends to fall into good luck over and over, rather than taking control on her own. Author Peg Cochran has clearly done some research. And yet … Cochran has done some research and shares it such that it doesn’t really add to the story. It comes across as filler to make sure we know what era we’re in because really this doesn’t feel like 1938. We only know it because we’re told it with the little research snippets dropped in, and most of those snippets are things that could be found with a quick Google search. This has some potential and I liked the basic character, but I’d like it much better if she were a stronger female character. For historical mysteries, I’d still prefer the Jake and Laura series by Michael Murphy also published by Alibi a few years ago. Looking for a good book? 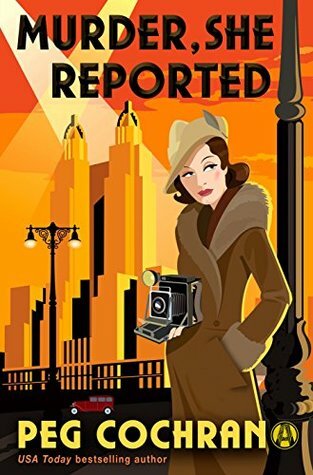 Murder, She Reported, by Peg Cochran, is a simple mystery set in the late 1930’s with a female protagonist that is sweet, but not particularly engaging. Connor Joyce is an author, though he’s hardly a household name. In the opening chapter, our unidentified narrator sees that Connor is having a reading at a local bookstore. The narrator, having a connection with Connor from doing an interview with him years earlier, attends the reading and is embarrassed that only one other person has shown up for the event. But the moment reconnects our narrator and Connor Joyce and Connor, desperate to tell someone his story, shares it with our narrator (and hence, with the reader). Connor, it would seem, being an author looking for that big contract with a publisher that would guarantee a sizable income for a few years, is approached by a stranger with an offer … a lucrative, but unusual offer. Our mystery man, Dex Dunford, is willing to pay $2.5M for an original Connor Joyce manuscript. But there’s a catch, of course. The book will never be published, there can be no copies of it, and Connor must never tell anyone about it. The penalties for breaking the contract go beyond the return of the money – Connor suspects his life would be in danger. To prove he fully intends to honor his part of the bargain, Dex Dunford shows Connor the original manuscripts by J. D. Salinger, Norman Mailer, Harper Lee, etc. The writers on that list of Dex Dunford authors are writers who became recluses with limited or no published manuscripts after writing for Dex. But $2.5 Million is a good amount of money, and Connor agrees to the terms, only to regret it later. Connor, you must understand, is a writer of crime fiction and not long after turning in his manuscript and receiving his final payment, a crime is committed by the exact means he uses in his Dex manuscript. But he can’t go to the police to explain it because it’s in his contract not to talk about it. And Dex could easily blackmail him because he created the idea, and committed it to writing – writing of which Dex has the only copy. Connor struggles with what he should do with his knowledge of the events. There are some really interesting ideas in this book and author Adam Langer’s prose is hypnotizing … which is a little bit deceiving. We can get so caught up in the language that we don’t realize that everything is happening at a snail’s pace. Our introduction and set-up of who Connor Joyce is takes up nearly the first quarter of the book alone, and we have to meet Connor before we meet Dex and finally hear the offer. And then Connor has to struggle with whether or not to accept the offer before the ‘action’ of the story takes place. And while the concept of a billionaire being interested in collecting one-of-a-kind original manuscripts is really fascinating, we can’t help but wonder “Why Connor?” He doesn’t seem to fit in to the same crowd as Salinger, Lee, Mailer and so on. We’re told it’s because of his uncanny ability to write crime fiction and Dex apparently wants to commit a crime that would never be solved, but … really? That’s what this entire novel is all about? Looking for a good book? 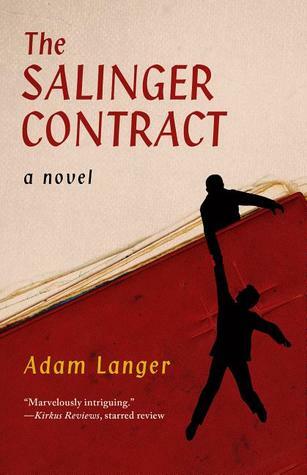 The Salinger Contract by Adam Langer is an enjoyable read in the moment because of Langer’s prose and clever concept, but the story doesn’t stand up to much scrutiny. I had only just finished the initial trilogy (The Malediction Trilogy) by Danielle L. Jensen when I began this book, a prequel. It was definitely nice to have some of these characters very fresh in my mind as I went in to this. I wasn’t entirely enamored of the trilogy. I thought that the first book was a great YA book with a lot of promise, but the series then seemed to change direction and it was less of a YA ‘forbidden’ romance as it was a political fantasy with a touch of romance. What The Broken Ones does is nicely set up the ultimate direction of the trilogy. Looking back on the trilogy, I can definitely see where this would have been very nice to have read before going in to the trilogy. This prequel does not follow Tristan of Trollus and Cecile, though Tristan is in the book. Instead, because this is more of a political romance, we follow Marc, who is the right-hand to the leader of Trollus, but he is also a leading informant to those who want to overthrow the current regime. Marc’s girlfriend is Penelope, a daughter to the Duke of Angouleme. We did (or we will) learn a little about both of them in parts of the trilogy, but this is really their story and how they fit into the other books. Just as the other books are told from different viewpoints – Tristan and Cecile – this book is told from both Marc’s perspective and from Penelope’s. Their roles, we come to learn here, are much more important – incredibly major- compared to the almost footnote feel they had (will have) in the trilogy. And I liked them more. Cecile, who started out strong and became a bit simpering toward the end, became much less interesting, whereas Penelope is a strong female character whose role in a major political conspiracy is truly fascinating. And yet she never loses her sense of love and passion for Marc as well. The political intrigue works really well here, but so does the romance. I’d be much more interested in reading more about these two if there was more to tell. Looking for a good book? 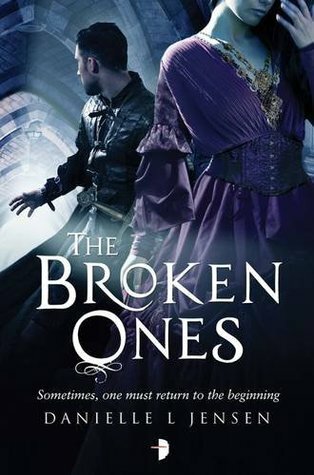 The Broken Ones by Danielle L. Jensen is a prequel to her popular Malediction Trilogy, but this book succeeds where the end of the trilogy let the reader down. It was five years ago that I requested (and received) a copy of this book. I was just beginning to get started with my serious book reviewing. I’m sure – very sure – that at the time I requested this, I was not aware that this was a book of poetry. I’ve tried. I’ve read a lot. I co-created a poetry hotline in college (call the toll-free number and hear a new poem every day). But I can tell you exactly how many books of poetry I’ve enjoyed. One. A collection by Galway Kinnell. But this comes pretty close. I enjoyed a few here, and for me, that’s pretty good. I thought poet Andrew Hudgins was establishing a theme pretty early on. The first line of the book is: “A joke is washed up on an island,” and three poems later the first line reads “Down these means streets a bad joke walks alone,”. But there are no jokes here. Just sad, lonely people. One of the first poems that I really liked was “At the DMV.” This one really caught the essence of a moment – one, perhaps, I’ve felt I’ve lived myself. I also appreciated “The Wild Swans Skip Coole” for its simplicity and the ability to capture a visual image and a rhythm found in nature. A couple other poems stood out for me : “Two Bourbons Past the Funeral” “In a Distant Room” “March” and “Fleeing Time.” Each of these spoke to me in that way a poem should reach a reader. The rest … well, they were readable (again…I mean that as a compliment), even for someone who doesn’t typically enjoy poetry. Looking for a good book? 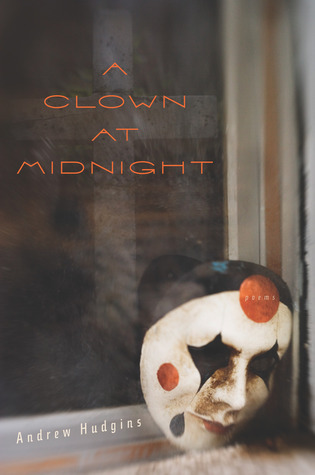 If you enjoy reading poetry, then A Clown at Midnight by Andrew Hudgins is a good bet for you. If you are not a fan of poetry, this has some good poetry in it, but it’s not likely to convert you. I discovered this book at the back-end of my reading queue, and since I’m trying to catch up on my reviews I will periodically choose the oldest books in my ARC library to read and review. 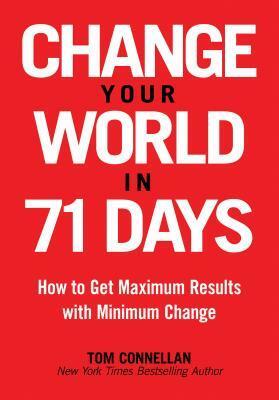 Change Your World in 71 Days. By Tom Connellan. I had two immediate reactions while reading this. The first was “Duh” as in of course this is pretty obvious. Most of us know that we would be better served to increase/decrease incrementally rather than trying to make a big change all at once. And my second reaction was, “Where’s the rest of the book?” The concept is easily explained in a paragraph and the rest of the 150+ pages is spent giving examples of the concept. This sort of self-help book drives me crazy. I’ve seen it with writing books, diet books, finance books. Someone’s got a ‘great’ idea but when they actually try to explain it, they simply repeat the same thing over and over. To make it worse, Connellan writes down to the reader, as if we weren’t very bright to begin with. I’m all for improving one’s self, but I’m definitely not going to be doing it by reading this book. Christopher Phillips’ nearly 500 page exploration of the American Civil War and the effect it had on the people and communities of the states in the middle of the conflict is an exhausting, but informative read. I felt that the first three chapters were quite dense with information. My reading was slow and methodical and still I couldn’t quite take it all in. Typically when we are presented with a book on the Civil War we’re thinking about North/South and the soldiers or the locations where battles were key. But this book has us looking at a completely different aspect of the Civil War – the reactions of citizens in outlying states (Midwest and West); the social and political turmoil caused by the war in communities not directly, physically part of the war, as well as those caught in the middle – battle ground states may have acted as staging areas, but not everyone in those locales took part in the battles. But just as with nearly any political action, neighbor often disagreed with one another, and not everyone in a northern state agreed with the emancipation of the slaves, just as not everyone in a southern state agreed to the right of keeping slaves. War is a work of politics and politicians and Phillips lays that out for us, and it’s hard not to read through this and see some parallels in today’s politics – which is frightening. While I have an interest in history in general and Civil War history in particular, I don’t tend to read a lot of history books. The bulk of my non-fiction reading is biographies, entertainment/theatre, and nature related works and not academic works too often. For me, this was a very difficult book to read and only partly because of the material itself (I find it difficult to read about strife and politics). It’s just so… academic. I.e: Dry. Confederate heritage and achieve cultural identification with the Old South. and to all those who had accomplished the latter. It makes complete sense, but I had to read through it twice to make sure I was really understanding what Phillips was saying here. And reading paragraphs like this twice is a very slow process. Looking for a good book? 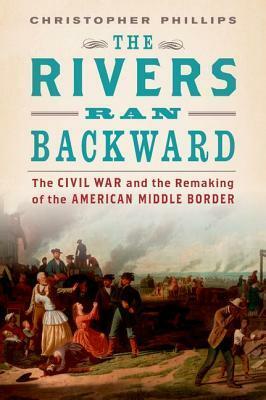 The Rivers Ran Backward by Christopher Phillips is a thorough look at a new angle of the American Civil War. For those interested in social and political (and war) history, this should be on your wish list but the academic presentation of the material may turn off the casual reader. You can’t go into a Kim Stanley Robinson novel expecting a fast, light read. 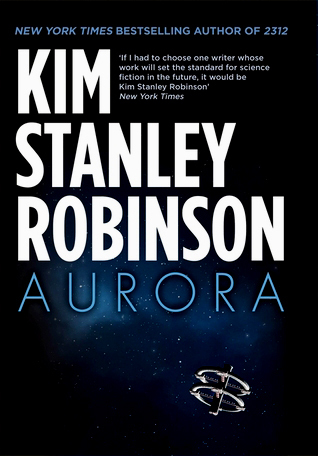 Robinson typically writes compelling epics with a large cast of characters and Aurora is right in there – a classic Kim Stanley Robinson novel. Humanity’s efforts to colonize beyond our own solar system take a step closer to reality as a series of generation starships are launched, each with their own, different goal of a planet in a solar system to ultimately colonize. The ship we follow in this book is Aurora, headed to the Tau Ceti system. This is not a journey of a lifetime, it is a journey of several lifetimes. Most of those who begin the trip will not live to see the end. And as much as man can plan and prepare for such a journey, the unexpected is still likely to occur and important, human, decisions will need to be made. Part of what is so fascinating about this book is that our narrator is the ship itself, Freya, the main computer. And what would an artificial intelligence make of humanity after observing and maintaining people for 150 years? Do humans stay motivated and driven for a purpose, or do they lose sight of their goals when a new generation develops? This is a fascinating and compelling epic, and as with anything Robinson writes, it’s well thought through and beautiful and engaging. The end comes as a bit of a surprise (to me, at least), and still it works so well and the reader can’t help but be drawn in. Looking for a good book? Aurora by Kim Stanley Robinson epic science fiction on a grand scale and a truly beautiful book to read. I purchased a copy of this book at my local bookstore. You should, too!